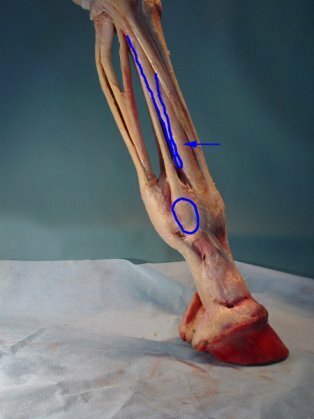 Visit my other website, Anatomy-of-the-Equine, to see more anatomy of the lower leg. There are only three bones in this region. 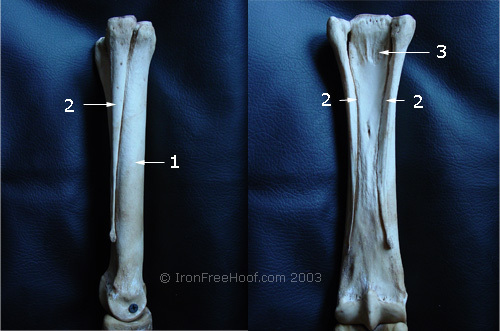 In the young horse, they are separate, but often the splint bones fuse to the cannon bone. 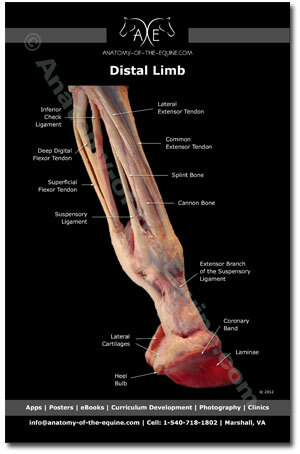 The suspensory ligament attaches behind the knee between the splint bones. The arrow is marking the cannon bone. The splint bone has been outlined, and the sesamoid bone has been circled. 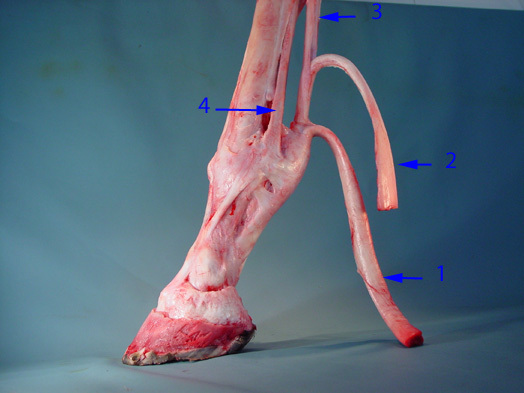 The suspensory ligament attaches between the splint bones, then branches out and attaches to the sesamoids. From the sesamoids, it wraps around the front of the pastern and attaches to the coffin bone. With practice, the different tendons and ligaments can be palpated. Palpation can be a very useful tool to identify regions of pain in the lower leg. 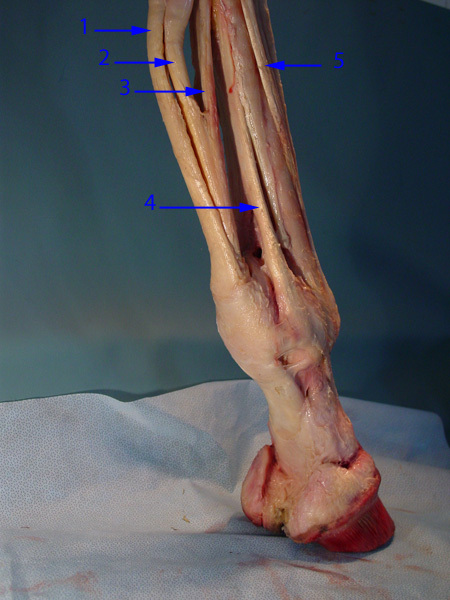 I have stripped away the fascia (connective tissue), so the distinct tendons are ligaments are easy to see, but normally they are bundled together. Here is the same information presented in a different way. Hopefully, this helps the viewer piece together the information. The two flexor tendons have been cut. The inferior check ligament attaches at the back of the knee and attaches to the deep digital flexor tendon.